Making a first day of school lunch your kids will remember all year long doesn’t have to be hard – these 3 simple first day of school lunch ideas! 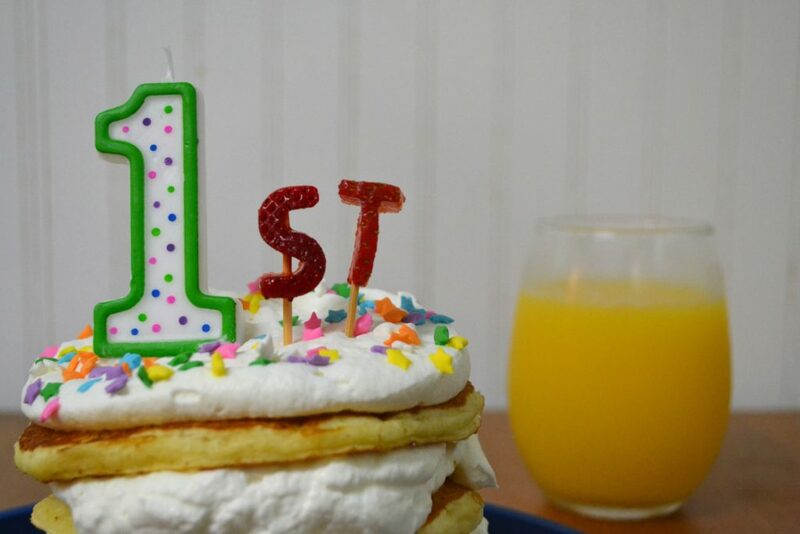 Like I mentioned in last week’s post about pancakes for the first day of school (they’re super fun and simple – definitely check them out!) Ryan is starting pre-K in less than a month and I’m kind of super excited. YES, it’s going to be so weird to just be me and Owen for a couple of hours, but I’m so excited for Ry to make friends, learn, and grow into his own little person without me (insert really strained happy smile). But I’m also super excited to do weird things like make him lunch or volunteer for class mom. I’m kind of a weirdo in that I’ve been excited for that kind of stuff since I was a kid. In high school, I helped out the boys’ lacrosse team and I literally made them snacks and food for after games. I would bake for my friends and bring in food and treats for class projects any chance I got. I’ve always loved taking care of people, but I’ve also loved an excuse to make people happy with food – even better if it’s not at my house so I don’t have to do the clean up for it. That being said, I’ve been highly anticipating the boys going to school basically because I’m excited to make Ryan fun food and send him to school. (side note, as a blogger I’m also really pumped to be able to send Ryan to school with treats from recipe testing for the teachers since I can’t be trusted with sweets in my house..) But the truth is, I don’t have the time and patience to make those crazy intricate lunches. So, today I’m sharing 3 different first day of school lunches that are not only super cute and sure to impress your little, but crazy easy and won’t take more than a few minutes to put together. 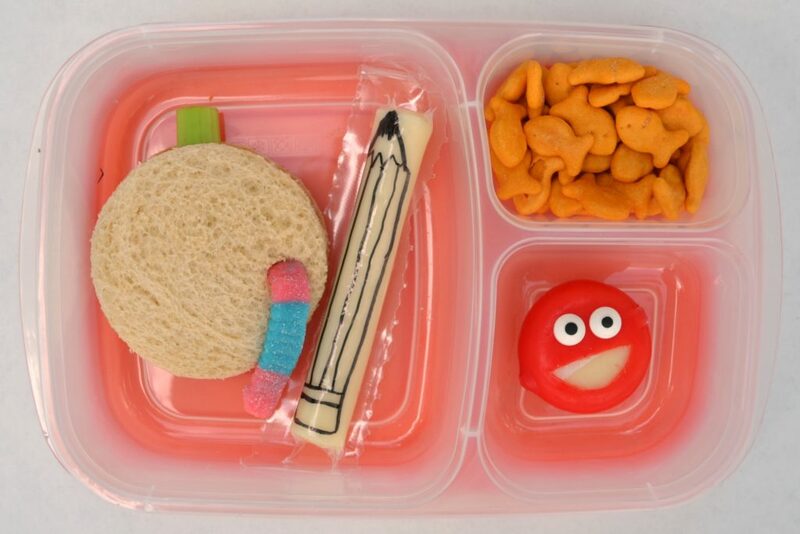 These lunches will add a bit of fun and whimsy (and make you look like super mom, tbh) for the first day of school with out making you lose your mind. Cut out the number grade your kiddo will be starting that year onto a slice of cheese. (you could also use another piece of bread in a different color – white bread on wheat bread or even more fun, rainbow bread) You can either use a number cookie cutter or free hand it with a paring knife like I did. Add ‘st’ ‘nd’ ‘rd’ – whatever suffix accompanies the grade – in letter cookies. 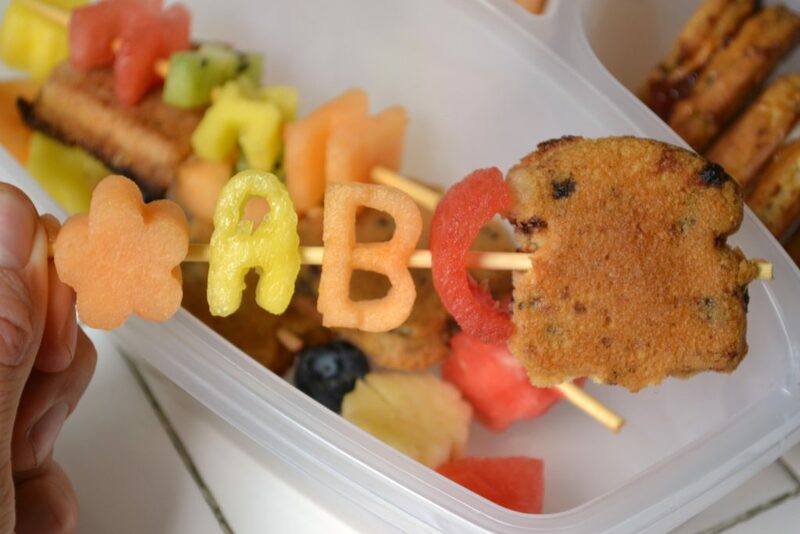 You could also use a smaller cookie cutter to make the letters in cheese, bread, or fruit. I used cookies from Bitsy’s Brainfood. Lay them out on your sandwich. If you worry about it moving around, ‘glue’ your cookies with nut butter or cream cheese. Bury a few gummy worms into a snack like popcorn and cut up fruit using small cookie cutters to make a fun fruit salad to accompany this super simple fun lunch. Cut the crusts off of your sandwich to create a square the size of a square slice of cheese. Top your sandwich with yellow cheese and cut a small square from the top right corner. Remove the cheese and using a paring knife or small rectangle to make windows before laying it back on your sandwich. Top with a yellow and red M&M and 2 cream cookie halves to make headlights and tires. Add a clementine with a sweet message and letter cookies to complete! Cut your sandwich using a large circle cookie cutter or a cup. Insert a small piece of celery to the top of your ‘apple’. Using a straw, cut a small hole into the top layer of bread and poke a gummy work into it. Using a permanent marker, draw on a string cheese to make a little pencil. (you could use black, yellow, and pink but I try to keep things simple.) I kind of messed up without realizing it until just now – I added a second cheese but should have switched it with some kind of fruit or veg. Anyway, make the little smiley cheese by using a small wax covered cheese and carving in a little smile and adhering candy eyes with cream cheese. 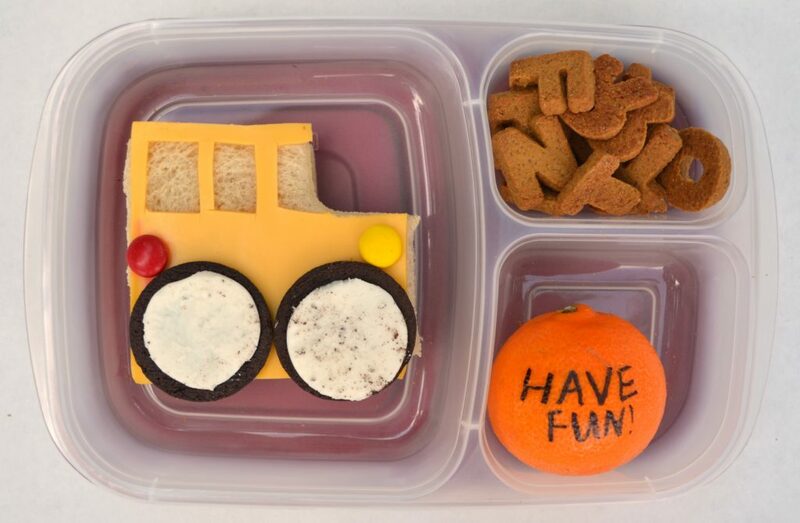 The best part about these little lunches is that they have the impact of a fun lunch without being too difficult to put together. 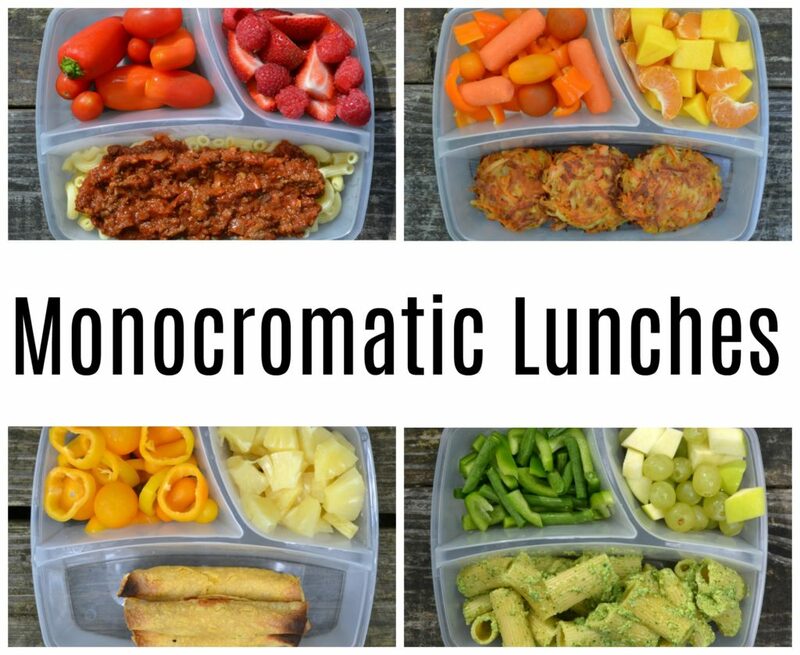 I’m all about keeping things simple and fun, which is exactly what these little lunches are. They’re a simple way to celebrate the first day of school and also let your kiddo know you’re thinking about them! Okay, so tell me – what are some fun things you do for your kids (or that your parents did!) for the first day of school? 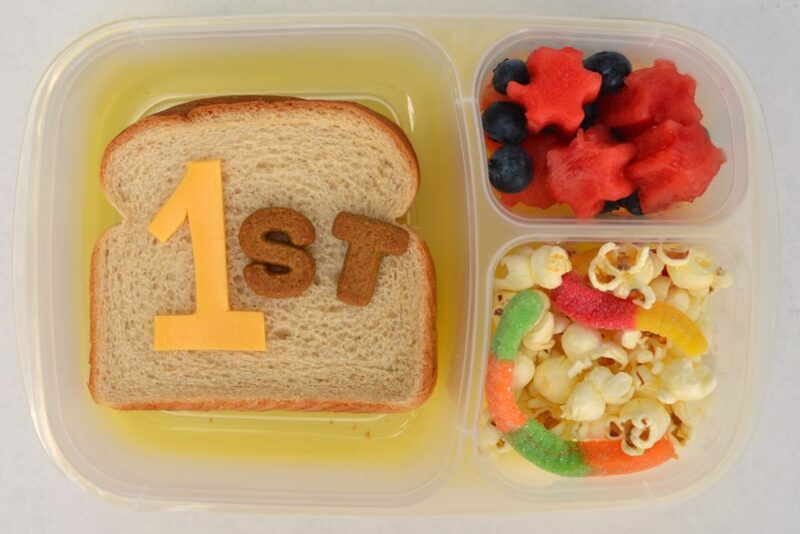 Which first day of school lunch would your kiddo like best? Let me know in the comments!